Multiple people attacked cartoonist Mark Knight for a racist cartoon he released of Serena, because of what happened recently, where the judge of the match accused her of cheating, Serena went off on him demanding an apology, saying “I’d rather lose, than cheat”, saying that he stole a point from her because he claimed she was being coached during the game. 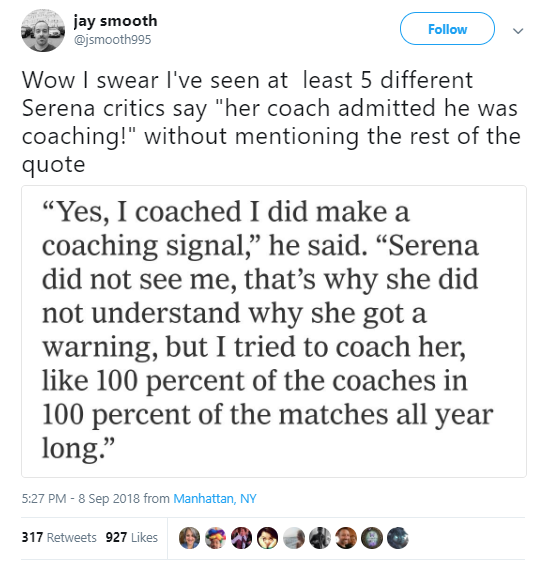 Depicting Serena Williams as a sore loser. Naomi Osaka was awarded the game after the outburst. JK Rowling, and many other atheletes and celebs bashed the Cartoonist. Mark Knight tried to defend himself saying that’s how he draws, but in the picture itself fans pointed out that the other weren’t drawn with such features, and so exaggerated. Video of Street Interview goes Viral after Black Woman in a group says She Wants a Lightskin Man Because she Doesn’t want Nappy Headed babies.